House Leveling: Does My Home Need Leveling? It is very common for homeowners to live in homes with unleveled floors. House leveling is a way to fix that. 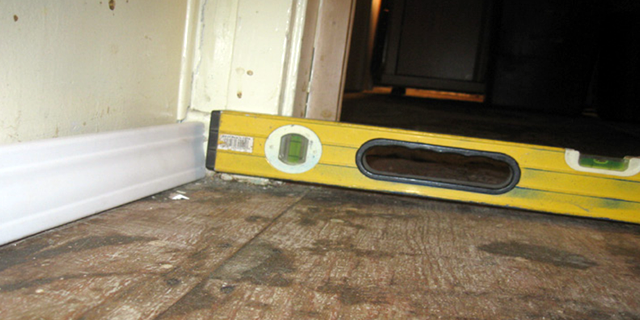 Leveling is the the act of evening the floor inside and around a home to its initial position and condition. These floors are capable of being put back into their original leveled position. Leveling not only fixes the aesthetic problems with unleveled floors, but it also makes the home much safer to live in as well. Many people just adapt to problems that come from floors that are not leveled. 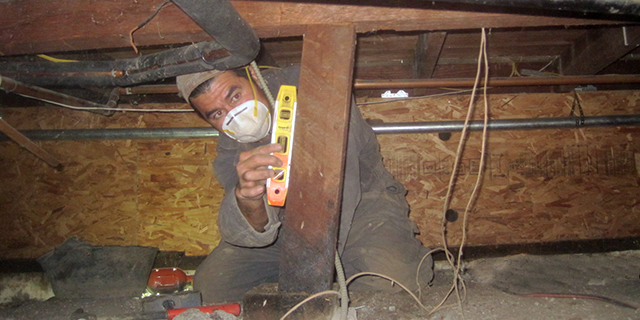 Even though issues like this are very common and may seem petty, they can actually cause anything from minor issues to very significant subsequent problems and damage. Unleveled floors are primarily caused by either support issues, foundation settling, or moisture problems. 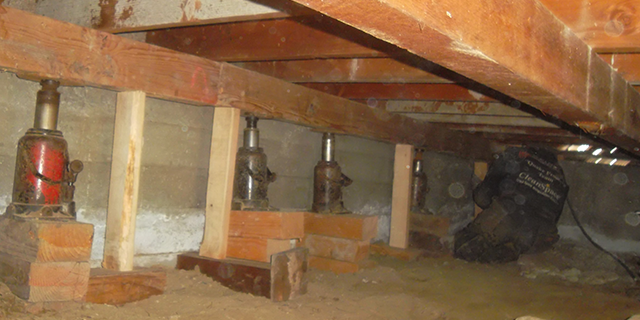 Over time, it is inevitable that your home’s foundation will start to settle. Floor leveling is a very delicate and complex process that leaves absolutely no room for error. The process is done by using a variety of advanced tools and methods that actually lift the property from the foundation. From there, the floor is adjusted so that it is evenly leveled on to the foundation. 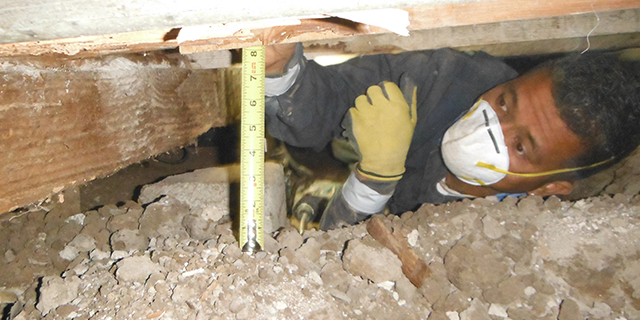 In order for the work to be maintained and increase the longevity of the new leveled floor, concrete piers and wood posts are added for support. Concrete is one of the most tough and sturdy materials known to man. However, as strong as concrete is, does not mean that concrete slabs do not require leveling to be done. Actually concrete leveling needs to be taken care of just as frequently as other flooring does. The methods and materials used in to accomplish evenly leveled concrete slabs is much different. The method is usually much quicker, but just as efficient. Sloping, cracking, and sinking slabs are not only just evident within the home, but can be apparent throughout the entire property. The process is done using an environmentally friendly material called the Mapei Ultraplan 1 Plus. The process of leveling concrete slabs, does not require lifting anything on your property up, but rather just using what is already there to create a flat and even surface.